for cost. E.g. a single row search from 2 billion rows table should be returned in 2 sec. SANs can move large amounts of data around very quickly – but don’t work well with very large numbers of extremely random I/Os. Any cache benefit you might have got from the SAN has already been used by Oracle in caching the branch blocks of the indexes. What the SAN can give you is a write-cache benefit for the log writer, database writer, and any direct path writes and re-reads from sorting and hashing. OK, this is the part about which I’d like to make a short comment—specifically about Log Writer. It turns out that most SAN arrays don’t handle sequential writes well either. All told, arrays shouldn’t be in the business of caching sequential writes (yes, there needs to be a cut-off there somewhere). I’ve had experiences with some that don’t cache sequential writes and that is generally good. I’ve had experiences with a lot that do and when you have a workload that generates a lot of redo, LGWR I/O can literally swamp an array cache. Sure, the blocks should be cached long enough for the write back to disk, but allowing those blocks to push into the array cache any further than the least of the LRU end makes little sense. Marketing words for arrays that handle these subtleties usually sound like, “Adaptive Array Cache”, or words to that effect. Looping this sort of “noise workload” will simulate a lot of LGWR I/O for two databases. Considering the typical revisit rate of the other array cache contents, this sort of dd(1) I/O shouldn’t completely obliterate your cache. If it does, you have an array that is too fond of sequential writes. What Does This Have To Do With NAS? This sort of workload can kill a filer. That doesn’t mean I’m any less excited about Oracle over NFS—I just don’t like filers. I recommend my collection of NFS related posts and my Scalable NAS for Oracle paper for background on what sequential writes can do to certain NAS implementations. 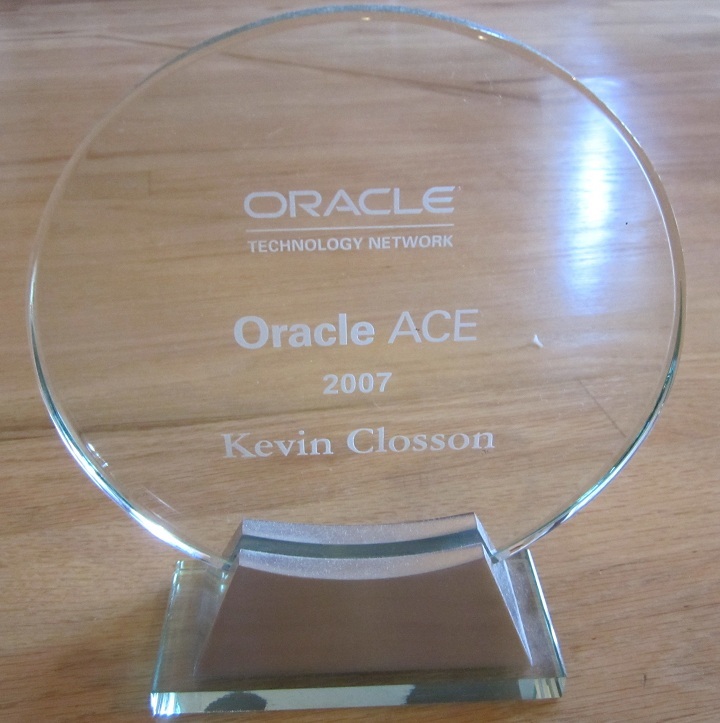 I’ll be talking about this topic and more at Utah Oracle User Group on March 21st. Yeah. One way to handle it it to allocate separate spindles, controller, cache to redo logs. I remember we’ve done exactly that – 4+4 spindles in raid10, separate controller and if I’m not mistaken cache (EMC DMX 2000). That did the trick. 1 ms for relatively small sequential writes and just a bit higher what I could achieve with solid state storage (that was 0.5-0.6 ms) but still, write time was slightly jumping up from time to time… I guess that was due to cache saturation on the box. Your “white noise” won’t work on most modern arrays. Many disk arrays have zero-detection engines and while they acknowledge the write, they don’t actually write it to disk so you will not get results that are anywhere near a real workload. You might use /dev/urandmon instead. I don’t understand your comment. The whole point of the post focused on the array controller, not the disks. Can you clarify?